The Heritage of Myers Beds goes back over many generations and the New Myers Natural Pocket 1400 Divan Bed for 2019 offers the best specification of the new Myers Range. 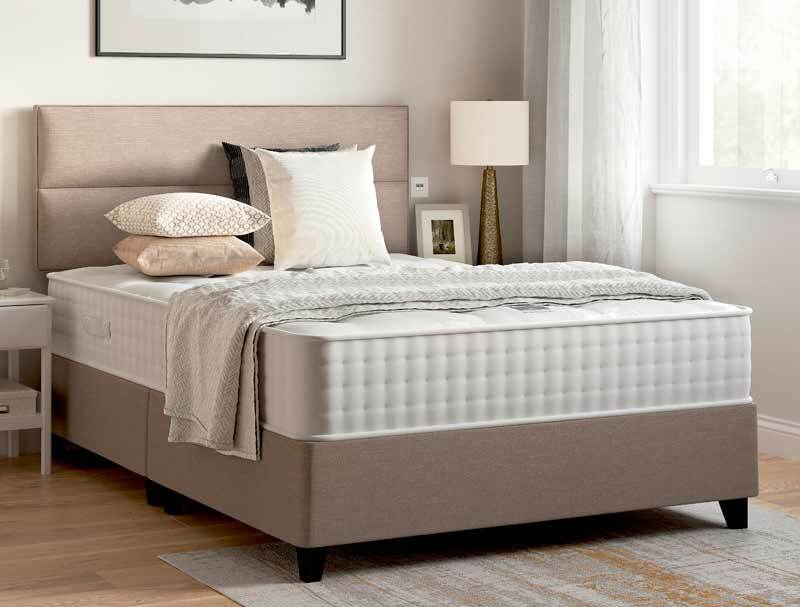 The mattress offers a medium to firm with 1400 pocket spring mattress that contains Tuscany Alpaca, Bamboo ,Tree Silk , Cashmere Silk and wool fillings on both sides of this fully turnable and rotatable mattress. 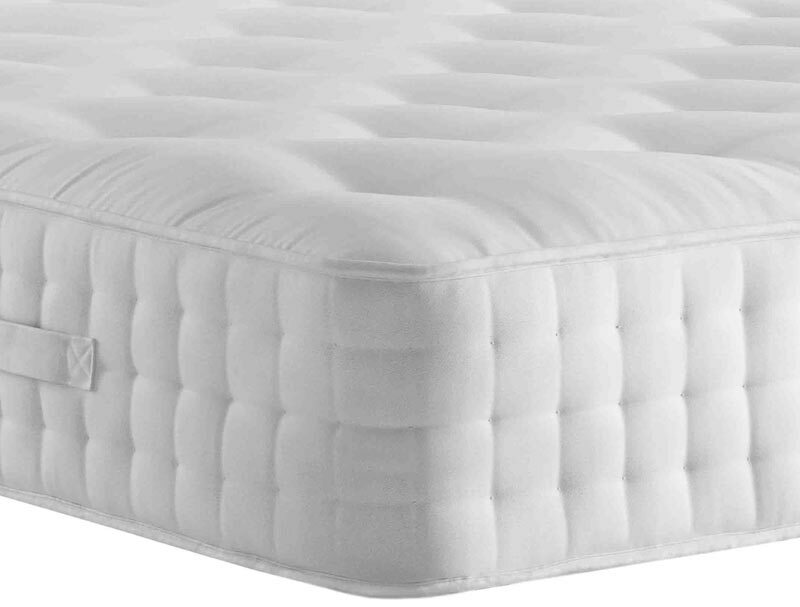 The Natural pocket 1400 mattress is a 31cm deep mattress is strengthened by firmer springs around the perimeter of the mattress cage , giving it a firmer side for less roll of and a bigger sleeping area. 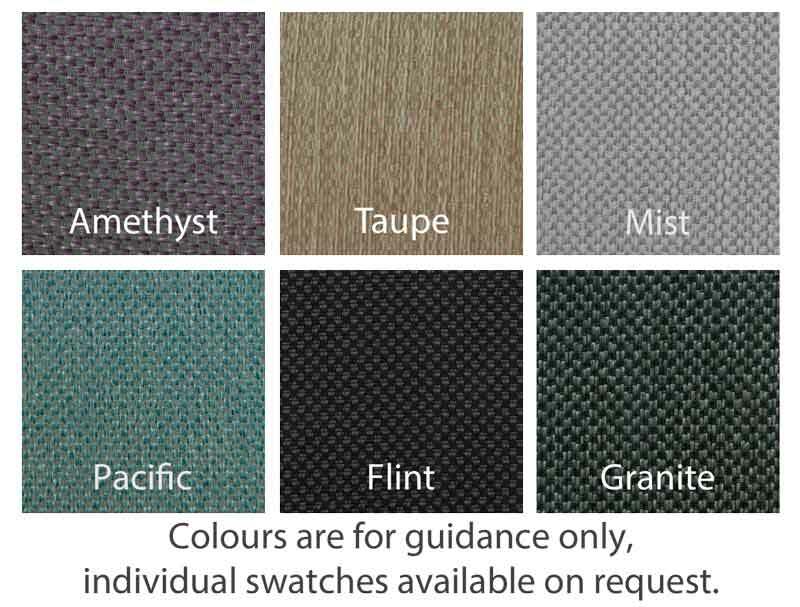 The Base is available in 6 fabric colourways and comes as a platform top hard base with 2 drawers free of charge on single to super king size or you can upgrade to 2+2 or 4 Drawer configurations. If storage is really important you could upgrade to a end opening hard top ottoman base which offer 5 times as much storage as 4 drawers. The headboard pictured is not included in the price but is available as a add on and will be made in same fabric as the base . All Myers Beds come with a Full 5 Year Guarantee .